After an outstanding 2014 race season, Global Formula Racing (GFR) was pleased to continue its partnership with Sabalcore Computing Inc., a leading high performance computing (HPC) service company, for the 2015 season. Thanks to Sabalcore’s HPC Cloud, GFR can simulate external airflow quicker and with greater accuracy. 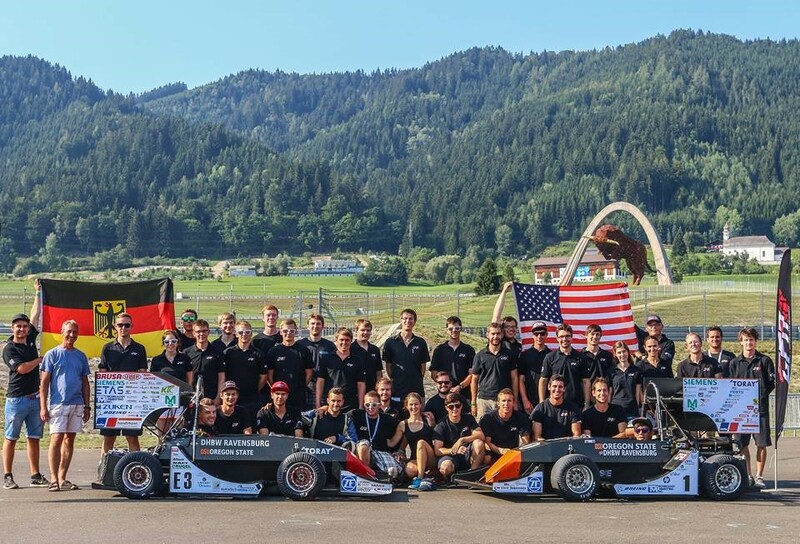 Global Formula Racing, founded in 2010, is an international cooperation between the BA Racing Team from Duale Hochschule Baden-Württemberg-Ravensburg (DHBW-R), Germany, and the Beaver Racing Team from Oregon State University (OSU), USA. 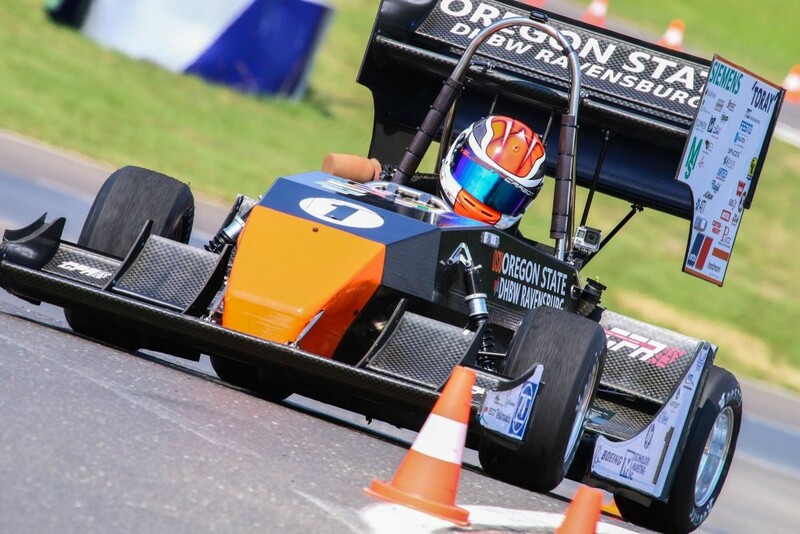 Every year students from both Universities work together to build one electric car and one combustion car. GFR’s goal is to win competitions. In 2014, GFR utilized Sabalcore’s HPC cloud to quickly and accurately develop a large aerodynamic package. 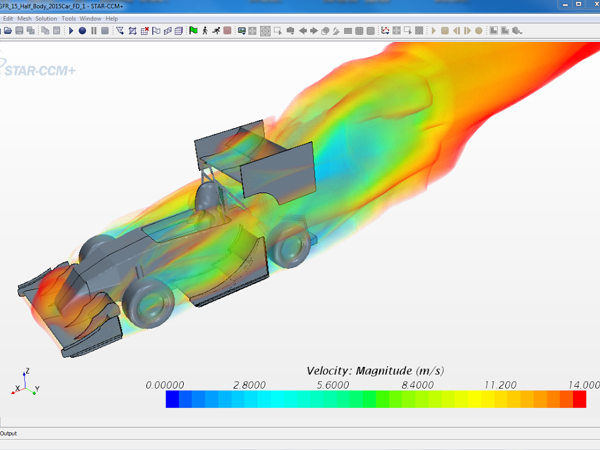 Students were able to run numerous simulation every day which lead to the most successful car in GFR’s history. The combustion car placed 1st in every competition it entered: Michigan, Germany, Austria, and Spain. The electric car also had a successful season with a best finish of 3rd at Austria. For the 2015 season, the series organizers implemented large changes to the aero rules, dramatically reducing the size of the wings. Now, more than ever, it is important to be able to iterate through as many designs as possible to regain the lost downforce. Sabalcore’s high performance servers are the perfect solution to this problem. The remote graphical interface, rg3d™, with 3-D acceleration over WAN is made seamless by including the latest version of the CFD software STAR-CCM+™ provided by Cd-Adapco. Thanks to the continued partnership, GFR was able to perform over 200 design iterations throughout the season. The results speak for themselves as GFR’s combustion car took 1st in every competition it entered: Michigan, Germany, and Austria for a second straight year! The electric car had its best season in Team history finishing 4th at Germany and 3rd at Austria. Sabalcore provides remote access to high performance computing resources on-demand that are specifically designed for scientific and engineering problems that require vast amounts of computing resources. The specialized service enables scientists and engineers to take advantage of large parallel computing systems without the upfront investment in computer hardware and long-term utility maintenance costs. The service is accessible online from anywhere, anytime. This saves the end- user time and reduces costs.